Find out why students are twice as likely to pass their driving theory when using Theory Test Pro. Here’s a statistic that surprised us, only 46% of test candidates pass their driving theory test on their first attempt. That’s a terrible first time pass rate – it means that more than half of people fail the theory test on their first go. Obviously preparation is a key factor in being able to pass, but we wondered whether there were particular questions that caused learners to fail. To work this out, we analysed over 2 million driving theory tests from 150,000 test candidates that used Theory Test Pro. The results highlighted 10 questions that 40% of learner drivers fail to answer correctly. You are involved in a collision. What documents may the police ask you to produce? 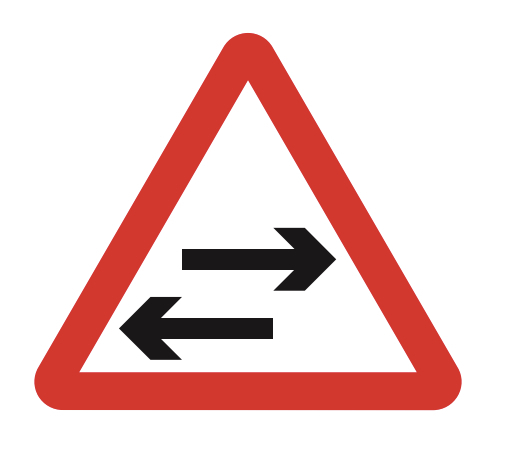 Name three situations where you may overtake another vehicle on the left? When can you drive or park in a cycle lane marked by a solid white line? You have broken down on a motorway. When you use the emergency telephone what information will you be asked? Where would you find reflective amber studs on a motorway? You are in a collision with another moving vehicle. Someone is injured and your vehicle is damaged. What four things should you find out? If your car has unbalanced wheels, what can this cause? Find out the answers to these questions by taking our quiz, or download a PDF copy of the Top 10 driving theory questions that trip up most learner drivers. There were also two road sign questions in the top 10. Here’s the first one. And the second trickiest trickiest road sign is this one. 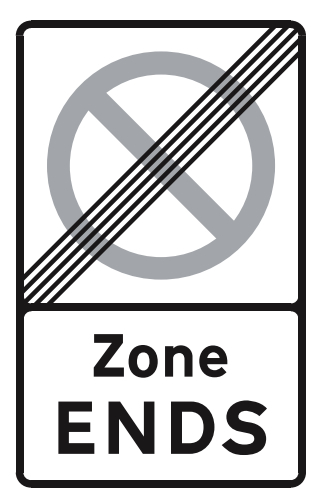 Again, only 40% of learners managed to correctly identify either of these road signs. Take a quiz using these questions or download a PDF copy of the Top 10 driving theory questions that trip up most learner drivers. A wonderful resoursce of learning to save money n time. Many thanks to this website I have passed my theory test today , I am so happpy. I love theory test pro!! Couldn’t of done it without this website!! how many times did you do it till you passed ? Fantastic article. I would completely agree that 40% can’t answer those questions. Many learner drivers expect to breeze through the theory test, when in fact it takes a great deal of revision and dedication. This same dedication can then be applied to passing their practical driving test. Interested? Get started completely free. © 2019 Theory Test Pro · All Rights Reserved.